Knowing how to meditate yourself to sleep can come in handy on nights when you find yourself unable to doze off. Restless nights happen for various reasons. These include stress, anxiety, or pain. Thankfully, there are exercises that can help your mind and body relax. Forget about counting sheep. The following techniques, like transcendental meditation, are scientifically proven to help you fall asleep. Transcendental meditation (TM) is a meditation practice that Maharishi Mahesh Yogi introduced in the mid-1950s. Since then, it has become one of the most widely practiced meditation techniques. TM is fairly easy. You can do it by closing your eyes and silently repeating a mantra. It doesn’t even require sitting in any special yoga position. You just have to sit comfortably as you liberate your mind from sentient thoughts. How To Do It: To do TM correctly, avoid speaking your mantra aloud, as that defeats the purpose of the meditation. Additionally, to ensure optimal results, TM instructors recommend keeping your mantra a secret. We’ve all lost sleep worrying about things, and this left us sluggish and unproductive the next day. Fortunately, mindfulness meditation can help us sleep better at night and be more focused. Mindfulness meditation is a psychological process of being in the moment. It calms the mind by focusing on breathing and awareness of the present moment. A person can practice it in various ways. How To Do It: The most common method is a three-step process. That is, to sit down, pay attention to breathing, and return your attention to your breathing when your mind wanders. As an alternative, you can pay attention to various areas of your body. While you are at it, as you observe each area, try to notice the sensation in the present moment. Abdominal breathing promotes relaxation by altering the way you normally breathe. Unlike with meditation, you won’t need complete silence. You can do it either lying down with your eyes closed or while listening to soft music. Either way, in order to relax, you must pay attention to your breathing. How To Do It: To effectively do abdominal breathing, lie on your back and place your hands on your chest and abdomen. That helps track your breathing. Remember to inhale through the nose and exhale through the mouth. Others prefer exhaling through the nose, which is not an issue. How To Do It: To visualize, simply focus on a single image. It can be a person, a thing, or a place. Some prefer visualizing things strongly associated with calmness, like clouds or the ocean. It doesn’t matter whether the visual is general or specific; what matters is that it is something you feel safe with and want to explore. Square breathing is a quick and easy way to calm yourself, be at peace, and eventually fall asleep. 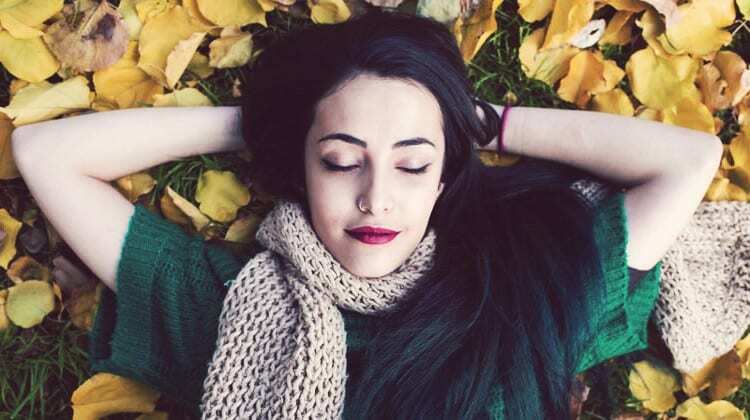 The good thing about square breathing is that you can do it anywhere, at any time, as it doesn’t require you to lie down or be in a quiet place. How To Do It: To do square breathing, start by inhaling for four counts, hold for two counts, and then exhale for four counts. Repeat this for two to three minutes. The next thing you know, you’re relaxed and perhaps already asleep. Restless nights harm you in many ways. They make you tardy the next day, impact your productivity, and affect your mental and physical health. Fortunately, there are known methods on how to meditate yourself to sleep. Check them out and see which one works best for you. Have you tried any of the methods on how to meditate yourself to sleep? In the comments section below let us know how it helped you.